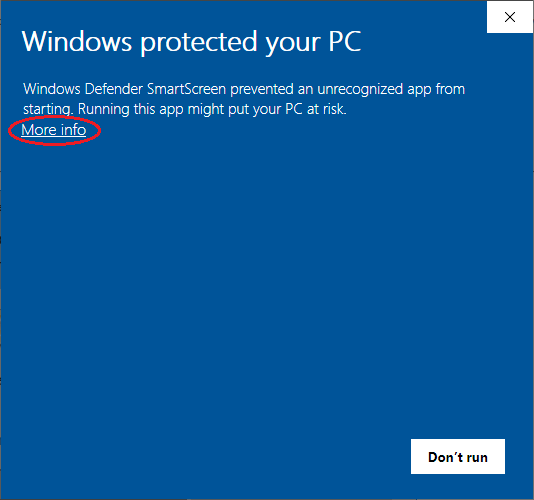 If Microsoft SmartScreen appears click "More Info", check the publisher is "Xarin Limited" and click "Run anyway"
Double click the installer to being the installation process. 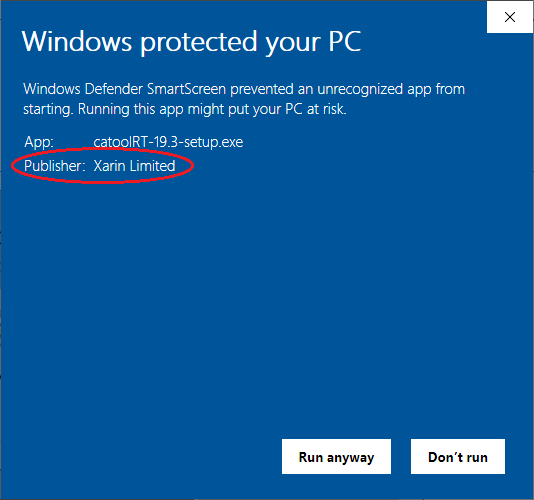 When prompted, ensure that the publisher is "Xarin Limited" and click "Yes". 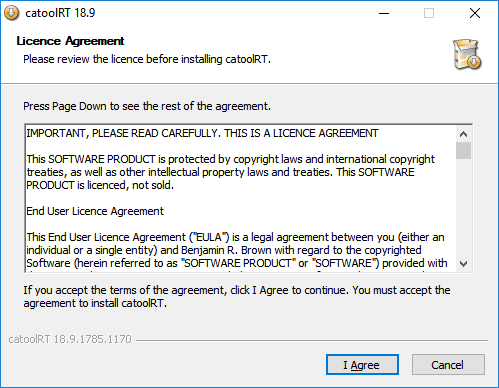 You must agree to the licence agreement to install catoolRT by clicking "I Agree"
It should not be necessary to change the default destination folder. 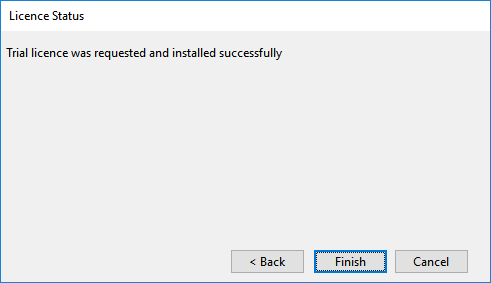 Click "Install" to finish the installation process. 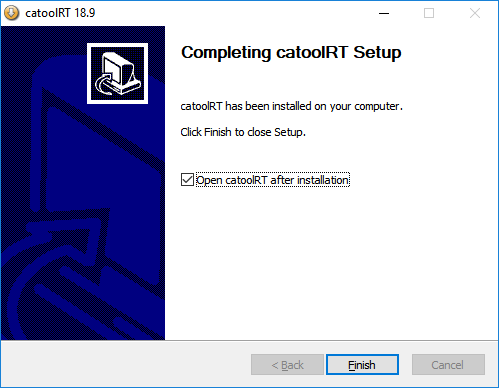 The first time you run catoolRT it will open the activation wizard. 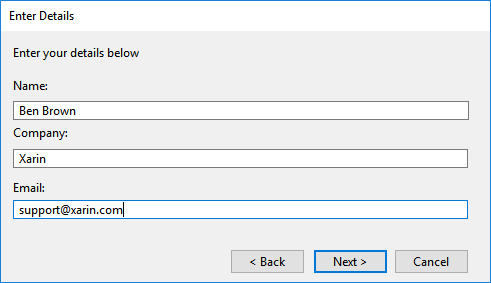 Click "Next" to create a trial online. 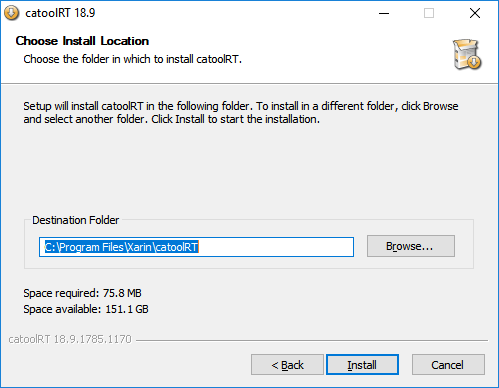 If you are unable to create a licence online select "Manually Update Licence" and email the Unique PC ID to support@xarin.com requesting a trial licence. Enter your details and click "Next". 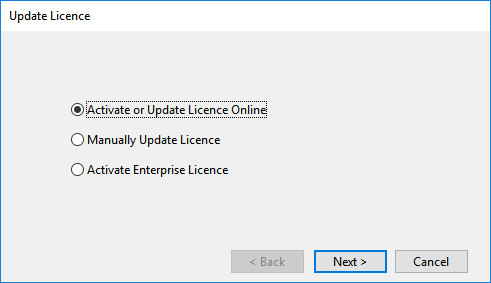 A trial licence should be generated automatically. 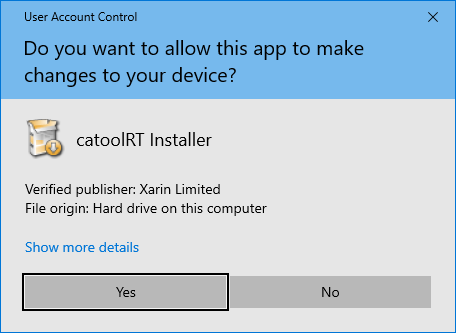 If you do not have a network connection or the online activation is blocked by your firewall please contact support@xarin.com for a licence key.